When the New York Rangers selected JT Miller with their 15th overall draft pick this year, it further demonstrated the direction Rangers Head of Scouting Gordie Clark and Rangers brass are taking the team. He fits the identity that the Rangers have built for themselves over the years to a tee. While Miller played extremely well in camp, it was a smart decision to send him down to Juniors, where he will see time on the team’s top line, and looked at as a go-to player. He is already making a big impact on his new team. Miller is a gritty player that possesses a good amount of raw skill. He was fine with the demotion, and even went as far as explaining that he plans on dominating the OHL, and making the New York Rangers next year. The power forward is making his presence felt on the ice, and plays with a good confident swagger. Defensively, Miller thrives in shutting down the opponent’s top players, and has been the best defensive player for a Plymouth team that has looked shaky so far this year. One they gain some chemistry however, Plymouth looks to be one of the top teams in the OHL. The whirlwind summer is finally over for the young American forward, and he is happy to be settling in. It is now up to Miller to thrive with his new teammates, and after last weeks win at Erie, he was glowing about the chemistry he has found with his new teammates. Don’t count discount the comments he said about making the NHL next year either. The drive in this young player is unmatched. He has the right type of attitude to make it under the bright lights of Broadway, and Rangers Head Coach John Tortorella agrees. 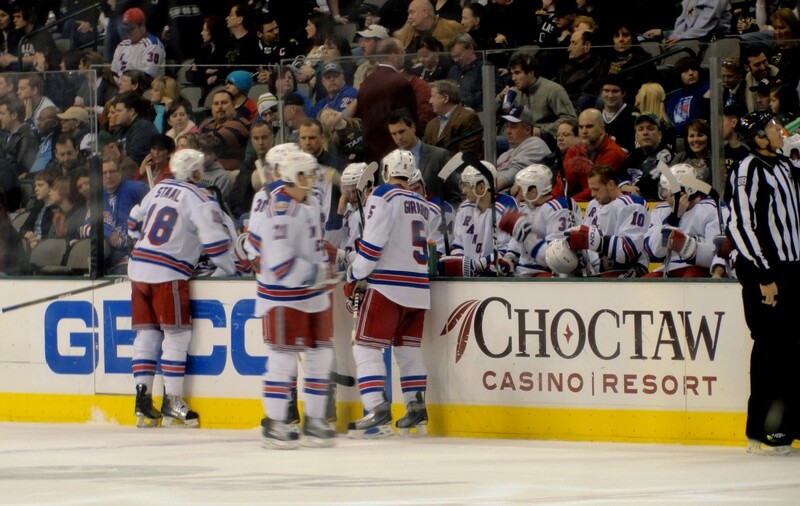 In a preseason game with Sean Avery as a line mate, Miller was one of the best players on the ice. If Miller can indeed dominate the OHL like he believes he can, then he will likely get a long look at camp next year. He is already physically mature, and will make Ranger fans look back fondly on the 2011 draft some day. Follow Patrick Kearns on Twitter @PatrickKearns to talk prospects, or NY Rangers hockey.